Do you love wearing short dresses or sleeveless tops? Do the ugly hairs on your arms and legs embarrass you? If yes, then you are not alone. Hair growth on various body parts is a natural process, and you can’t stop it. However, it is quite awkward for most women. Many women depend on various hair removal methods including shaving, tweezing, waxing, over-the-counter creams, etc. Not only these methods are painful but also only a temporary solution. What if there was a permanent solution? Yes, you read it right; there is a permanent solution, and in this guide, we are going to discuss Electrolysis hair removal treatment. Hair removal is considered as one of the most popular methods to get rid of any unwanted hair. 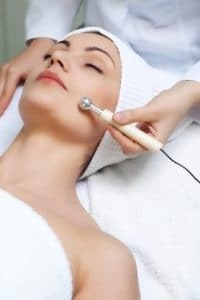 It is an exceptionally effective way of removing facial and body hair where an electrolysis device is used to destroy the roots of hairs with electric current or chemical. The best part of this treatment is that it can be used to treat most of the body parts including eyebrows, abdomen, face, breasts, thighs, and legs. This electrolysis treatment process usually does not cause any pain. But you may feel a little discomfort in the initial phase of the procedure if it is your first time. The feeling is similar to that of shock and tingling, rather than real pain. With the lower intensity settings of the latest equipment, you can expect the same results with minimal pain. But remember, since the hair follicles are being destroyed, some amount of pain is practically unavoidable. If you have a high tolerance level of pain, then this shouldn’t be a problem for you. If not, it could hurt you a little bit. Unlike other hair removal options, it helps you to get rid of the unwanted hair permanently. It is true for a variety of hair and skin types. With the common methods like tweezing, waxing and threading the problem of ingrown hair and discoloration persists. Moreover, these methods can at times even aggravate the hair growth process. Though these may seem inexpensive, they require lifetime maintenance. But if you are looking for some permanent solution, then the electrolysis hair laser technique is the best option. In comparison to hair waxing, tweezing or threading are really inconvenient. So, to save your time and money both you should opt for this permanent procedure without a second thought. However, make sure you choose the cosmetic surgeon who has experience and the right qualification in this field. Otherwise, it can lead to other serious skin issues. Hair Thickness: If the hairs are thick, it is usually difficult to remove them. Hair Volume: It is directly proportional; more the amount of hairs, higher will be the cost. Area: It is easier to remove hairs from a proper flat area as compared to an area where the electrolysis equipment can be reached with difficulty and needs to be held at an uncomfortable angle. While these were the things you should know before opting for the Electrolysis hair removal treatment, make sure to do some research before choosing a cosmetologist. Do not forget to check the qualification, license and staff of the clinic you are selecting for the treatment. For more information, explore the internet. When you care about removing hair the right way. You need to hire an electrolysis hair removal expert. Thankfully we have Elaine Lyons, a Registered Electrologist at True Salon & Spa.